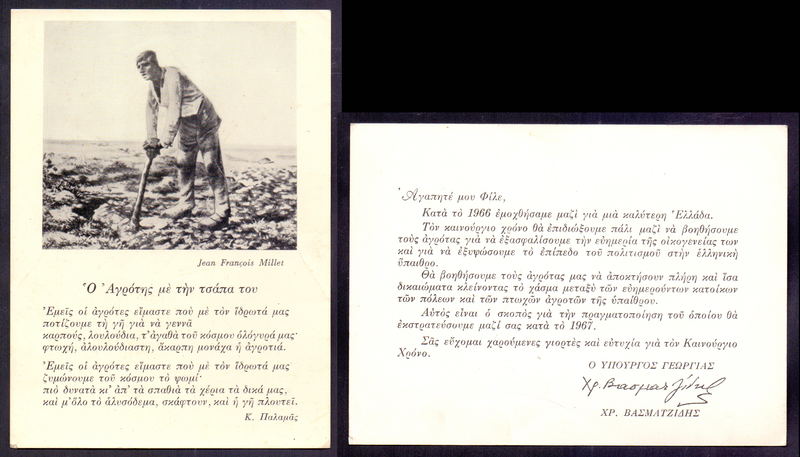 Wishing photocard for Christmas and 1967 New Year from Greek Minister for Agriculture "ΧΡ. ΒΑΣΜΑΤΖΙΔΗ" addressed to future voters, signed. 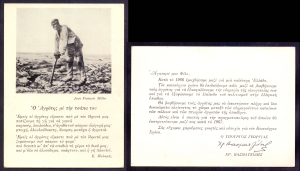 On front side of card photocopy of a painting of "Jean Francois Millet" (famous for painting rural scenes), also printed poem of K.Palamas related to rural life.